The UN Capital Development Fund makes public and private finance work for the poor in the world’s 47 least developed countries (LDCs). UNCDF focuses on Africa and the poorest countries of Asia, with a special commitment to countries emerging from conflict or crisis. It provides seed capital – grants and loans – and technical support to help financial service providers reach more poor households and small businesses, and local governments finance the capital investments that will improve poor peoples’ lives. Financial inclusion means universal access, at a reasonable cost, to a wide range of financial services, provided by a variety of sound and sustainable institutions. The range of financial services includes savings, short and long-term credit, leasing and factoring, mortgages, insurance, pensions, payments, local money transfers and international remittances. 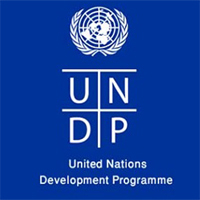 (http://www.uncdf.org/). UNCDF’s Financial Inclusion Practice Area (FIPA) in Tanzania is in the process of creating a country-wide strategy for financial inclusion, focusing broadly on women’s economic empowerment and access to finance for rural populations. We are currently implementing a program in Nyarugusu Refugee Camp, which aims to increase access to finance for refugees through savings groups, financial education, and digital literacy. Proficiency in Microsoft Office and its tools including Word, Excel, and PowerPoint. Video-editing software knowledge is desirable. Please submit a current CV and cover letter re. your motivation for the internship and ability to meet selection criteria and availability, as well as a short 1-3 page writing, media and/or design sample (blog post, news article, poster, video, etc.) to fipa.procurement.tz@uncdf.org by May 4, 2018. Note that only applicants selected for an interview will be contacted. Please group all your documents into one single PDF document as the system only allows to upload maximum one document. The intern must have studies in International Development, Gender, Economics, or other similar subject at the university level. Be enrolled in a graduate school programme (second university degree or equivalent, or higher); Be enrolled in the final academic year of a first university degree programme (minimum Bachelor's level or equivalent); or have graduated with a university degree and, if selected, must commence the internship within a one-year period of graduation. Have graduated with a university degree and, if selected, must start the internship within one-year of graduation. Demonstrated the ability to successfully interact with individuals of different cultural backgrounds and beliefs, which include willingness to try and understand and be tolerant of differing opinions and views.